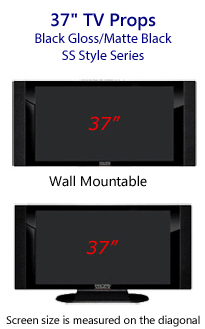 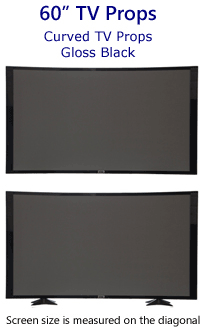 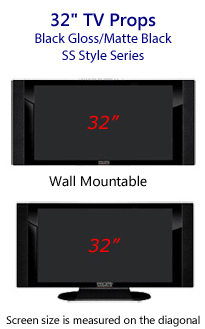 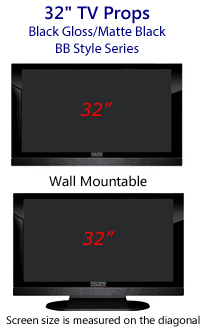 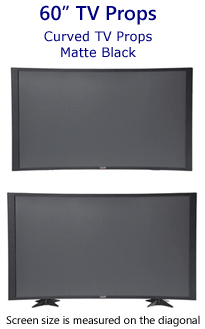 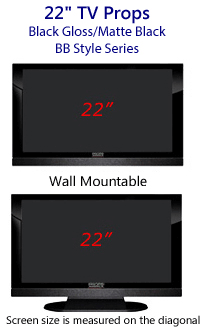 22” Flat Screen TV Props in Matte Black by Props America. 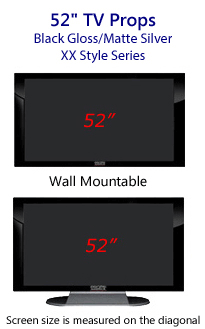 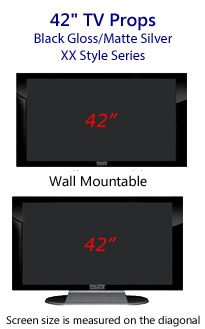 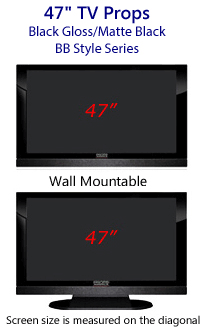 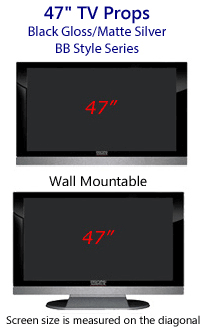 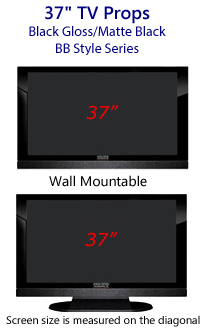 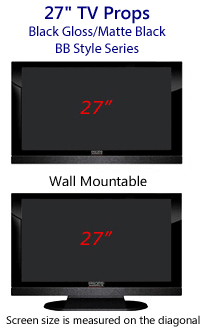 These Prop TVs are Props America's bestselling TV props in our matte black finish. 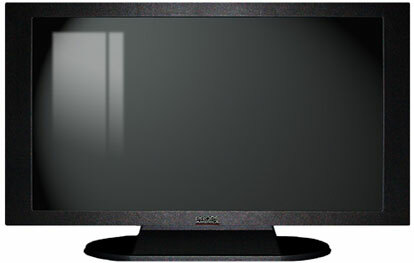 If you are looking for the most realistic TV prop finish we do recommend our gloss black finish as opposed to the matte black. Our matte black finished TV props are designed to hide dust and finger prints with its slightly textured finish. Our matte black finished TV props are the favorite TV props of home stagers and Realtors who reuse these TVs for multiple projects over and over again. 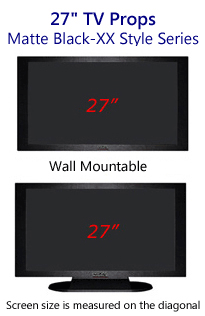 All of our 22 inch plasma TV props have a removable stand for easy wall mounting. 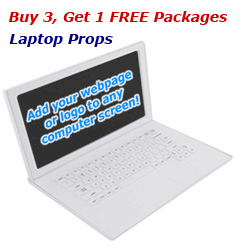 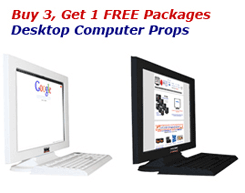 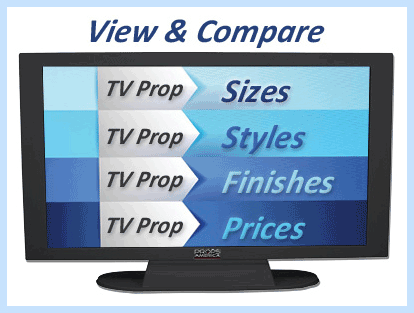 All Props America flat screen TV props are available with multiple screen picture options. See below for our picture option choices. 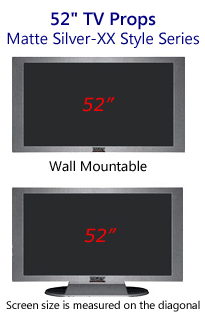 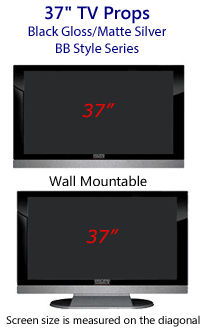 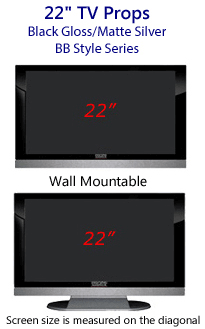 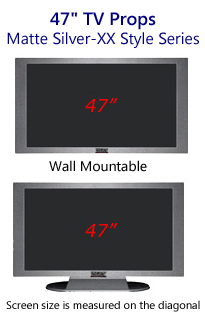 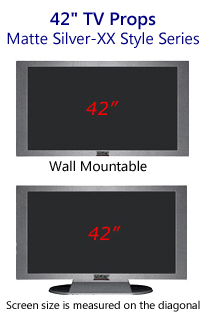 This 22" Prop TV is Wall Mountable & Table Mountable. The base, or stand, is removable for quick wall mounting.